Let us help simplify your transition from health care facility to home. Living Essentials In-Home & CDS LLC. provides 24-hour Live-in Care. 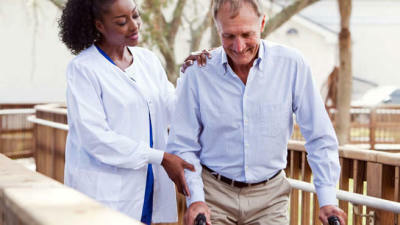 We begin by selecting a highly trained and experienced live-in certified caregiver. The caregiver stays in the client’s home 24-hours a day. When your permanent caregiver takes respite or vacation time off, we will provide a replacement caregiver and there will never be any gaps in care. This type of care is completely customized to meet the client’s needs. Many clients only need care in the evening time; some need overnight care, while others need care all day long. The Hourly Care Program is customized to meet the client’s needs. We offer care from as little as 1 hour per day up to 24/7 coverage. We have NO HOURLY MINIMUMS. After the caregiver has been placed in your home we will continue to implement our specialized plan of care. Our dedicated staff will make frequent supervisory visits of our caregivers and update family members as needed. We encourage you to call us at anytime with any questions or concerns. We are here to help! At Living Essentials In-Home & CDS LLC., we understand that hospitalization or inpatient rehabilitation can be very stressful. When it’s time to be discharged home, there are always many details to handle and having the right help at that time is essential! (CDS) is a Medicaid-based program that provides personal care attendant (PCA) services to individuals with disabilities, enabling them to live independently. Participants in the CDS program are trained to hire attendants to assist them with tasks of daily living. Infants, children, and youth can get checkups and health care that help them to stay well. The Healthy Children and Youth (HCY) program covers the health care needed to treat medical and behavioral problems. The VetAssist Program provides in home care to veterans and surviving spouses so they can remain where they want to be – in their home. 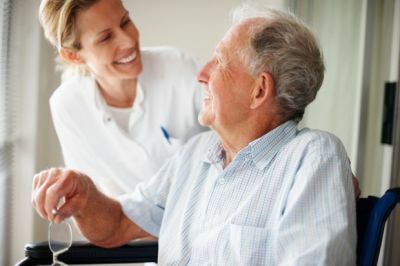 (CMHC) Healthcare Homes assist individuals in accessing needed home health, behavioral health, and social services and supports; managing their mental illness and other chronic conditions; improving their general health; and developing and maintaining healthy lifestyles. 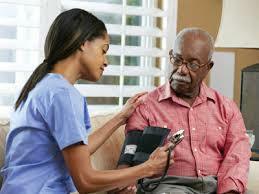 Private duty home care is just a sub-set of general home care. Caregivers can provide a broad range of services, from medical and nursing care to bill paying and transportation services. Their goal is to provide whatever the senior and their family needs in order for them to remain independent in their own homes. Living Essentials Provides In-Home Health Care, Consumer Directed Services and much more for seniors or disabled clients and their families call today.